Virgil van Dijk has implored Liverpool fans to help and not hinder the Premier League title race, by showing unwavering support and not letting the anxiety of it all get the better of us! Against Leicester City on Wednesday night, Anfield was a ball of tension, even after we went 1-0 up in the opening minutes. 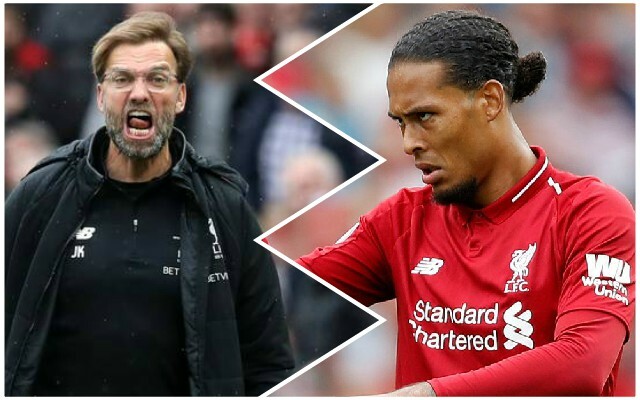 In the second-half, a crescendo of noise may have helped Liverpool battle to the three points – but it never came – although in many ways – the performance didn’t exactly warrant it. “It sounded like it,” van Dijk told the Guardian, when asked if he thought the crowd was nervous whether it affected him… “Not to me,” he continued. “You get that feeling as well from the crowd and I think it’s not really necessary at the moment. But everyone wants to win so bad and that’s what we want as well. But sometimes you need to be very patient. Our next game is away to West Ham, and hopefully we’ll pick up a win on the road to get back on track. Then, it’s Bournemouth at home – and the crowd need to listen to VVD’s advice and react accordingly. There’s a long, long way to go yet.